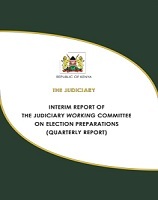 Download the JWCEP Report 2012/2015. Balancing the Scale of Electoral Justice. 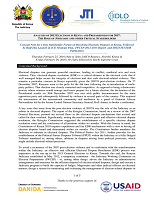 JWCEP Post Election Report, 2013. 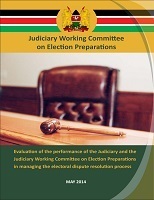 Download the JWCEP Post Election Report, 2013. 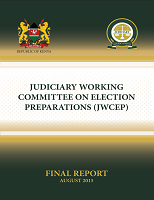 The Judiciary Working Committee on Election Preparation (JWCEP) has complied all the cases covering election related issues that have been adjudicated by the courts. 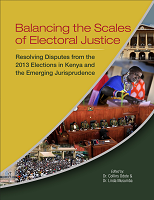 The cases have mostly emanated from the Constitution of Kenya,2010 and the new Electoral Law. 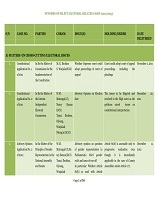 A summary of these cases can be downloaded from the link below and the cases are all available on our website. 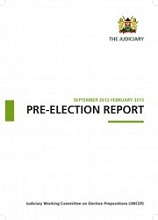 The Chief Justice’s Address to the Nation on the Judiciary and Election Preparations. By a happy coincidence, today is the fifth anniversary of the signing of the National Accord and Reconciliation Agreement, which ended the crisis that followed the 2007 elections. 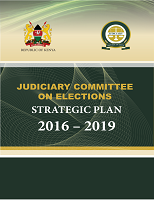 Since its inception, the Judiciary Working Committee on Election Preparations has been hard at work readying the Judiciary to handle the multiplicity of petitions expected from the forthcoming General Election. The committee has held and attended several stakeholder forums on the electoral process. 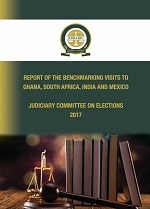 The committee recognizes that even though the role of the Judiciary appears to be at the tail end of the electoral process, it cannot be played effectively if activities within the entire process are not properly facilitated. The committee works with stakeholders to ensure that inconsistencies or deficiencies in electoral law are dealt with early and that all actors know precisely what laws will govern the electoral process. Almost five years ago, members of the then Electoral Commission of Kenya (ECK) stood before a Chief Justice and took an oath of office similar to the one you have just taken today. In the text and spirit of that oath, just as in this one, was a solemn commitment to duty to serve with dedication, fairness, and in a manner that is faithful to the Constitution and the law of the land. 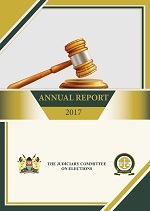 Electoral Dispute Resolution is a critical component in the electoral cycle and the effectiveness of lack of thereof of judicial and administrative mechanisms established to adjudicate electoral disputes impacts directly upon the extent to which elections are considered free and fair. Efficient and effectual EDR mechanisms are at the core of delivery of peaceful and credible elections and must be able to effectively deal with the challenges that arise at any stage in the electoral cycle. With Kenyans preparing to choose close to 2,000 individuals for public office, the forthcoming election is unprecedented in both scale and complexity. 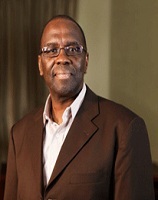 Elections on our continent have often been cast as meaningless periodic rituals, or as cataclysmic events characterised by upheaval and disruption. Where a balance is struck between these two extremes, electoral events are heavily scented by corruption. Because of the entrenched culture and practices around elections, the numerous covenants signed and ratified with regard to political rights appear to have no more value than the paper on which they are printed.